Tellap has launched a pallet free bulk bag system, developed in South Africa in response to increasing wooden pallet issues. The customisable packaging system – designed for enhanced safety and efficiency – is manufactured from 100 percent recyclable polypropylene. The system, which consists of a proprietary bulk bag and two strong integrated plastic sleeves, weighs 5kg, whereas a pallet can weigh up to 35kg. 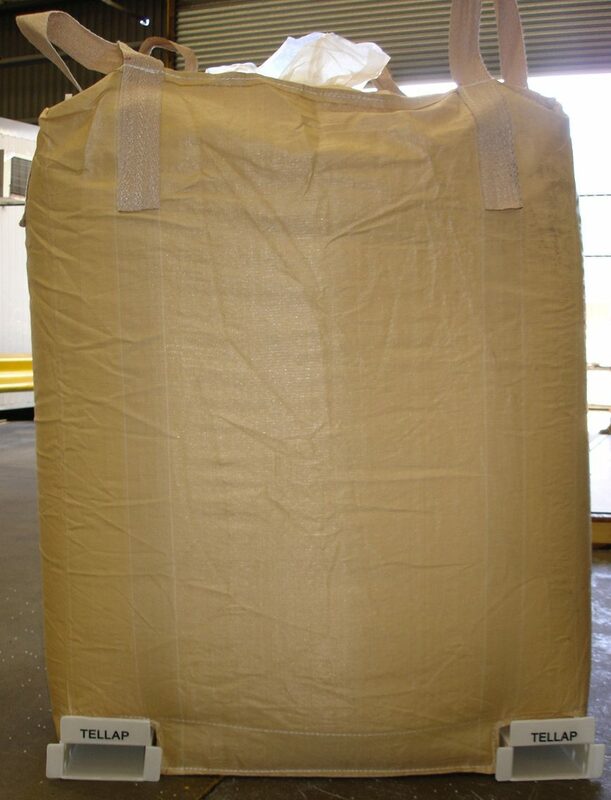 The high strength sleeves are integrated into the base of the bag to replace the pallet, allowing a standard forklift truck to raise the bag from the base. There is no requirement for special handling equipment. This entry was posted in Industrial Packaging, News. You can post a comment.